Homepage - Ashton Britt Service Company Inc.
Has your air conditioning or heating unit stopped putting out cold or hot air? Does it turn on at all? Only licensed experts can properly repair your home HVAC system. Restaurant Refrigeration & Cooking Equipment, Roof Top HVAC, and Water Source Heat Pumps are just a few of our many commercial services that help you stay ahead of any possible problems. From Full Mechanical Industrial HVAC to Building Automation and Dust Collection, there isn’t a job that is too small or big for us to handle. Experiencing difficulties with your unit? Submit a Service Request Form right now. It’s quick and easy. 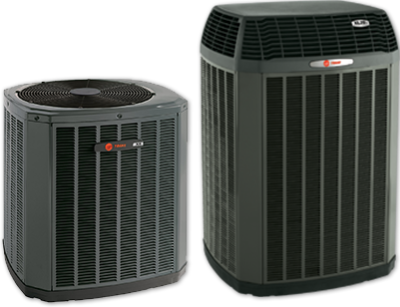 The Trane Comfort Specialist designation means a dealer has met Trane's stringent standards and is committed to being the best in every aspect of his or her business: installation, service, employee training, and customer satisfaction. You can rest assured knowing that your comfort is in the hands of experienced professionals. For your home, the heating and cooling system is also one of the largest investments you’ll make. We all know how hard it can be to come up with that initial investment, so, (with approved credit), Ashton Britt offers several financing options, with approved credit, for your convenience. Our various payment options will allow you the flexibility to choose the home comfort solution that will meet your family’s heating, cooling, and indoor air quality needs. We are always looking for ways to better serve you. networks or send us an email! County, Hamblen County, Grainger County, Sevier County, Hawkins County, Cocke County, Knox County, and Greene County.